This monotypic species is distributed in Asia Minor, Armenia, Northern Iraq, and Kurdistan. In Armenia it mostly inhabits riparian forests and woodlands in the arid zone, where Celtis glabrata the host-plant of Ionian Emperor can be found. Thus the species occurs within the elevation range from 400 to 2000 m a.s.l. In South-eastern Armenia, where the orchards often have mosaic structure hosting also some elements of native habitat, the species also can be found in fruit orchards. The species is slightly uncommon within typical habitat, and its density is partly determined by territorial behavior of the males. 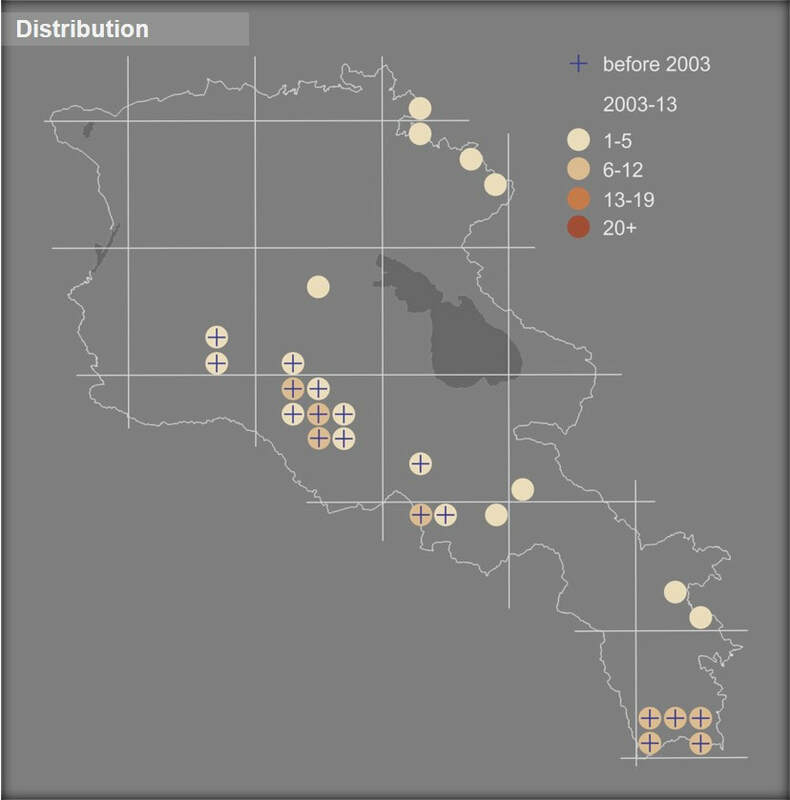 During 2003-2013 the species shows stable population trend (p>0.05). Usually the species' host-plant - a hardwood tree is not disturbed by the local inhabitants intentionally; however it often becomes a victim of fire, which is sometimes launched by rural people with an aim of getting rid of the blackberry bushes. Also there is a small scale trade of the species, which is not causing a visible affect. The species is not included in the Global, European, and National Red Lists, as well as in CITES and Bern conventions. Preliminary assessment of its conservation status suggests it as a Least Concern. 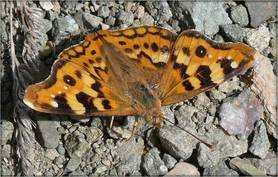 The species' distribution range is partly covered by some protected areas and Emerald Sites, also it is presented in Prime Butterfly Areas Agarak, Meghri, Kaladash, Shvanidzor, Gnisheek, and Ourtsadzor. Despite the low conservation status of the species, there is a need of decreasing the risk of fire in the riparian areas, and for the reason - a need of education campaigns and development of alternative methods of blackberry bush control (if really needed).